There’s a lot to love about Japan. Its quirky streets, delicious cuisine and centuries-old castles attract millions of visitors each year, but while its culture intrigues, it also confuses. Manners and strict etiquette practices are deeply entrenched in the lives of Japanese people and can be intimidating to first-time travellers. Yoshimi Nagashima, etiquette expert and founder of Impredge, an image and etiquette consultancy based in Tokyo, says that Japanese people put importance on maintaining good harmony with others. “Etiquette in Japan has been considered wisdom for living comfortably with each other for a long time," says Yoshimi. 'If you learn our customs and etiquette in advance, you will be able to [connect] with local people, making your trip more enjoyable and exciting,” she says. In Japan, it’s customary to remove your shoes while indoors. 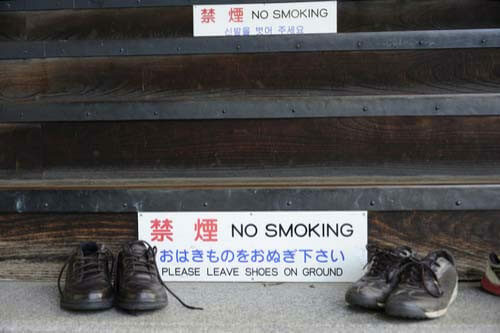 Some westernised spots allow visitors to keep their shoes on, but when entering most homes, restaurants or ryokans (traditional inn), shoes should be left at the entrance. This practice keeps tatami floors looking pristine and prevents contamination coming inside. Keep an eye out for signage (or staff) that will indicate whether removing footwear is expected. These places will provide slippers in the bathrooms – just remember to remove them when you exit, as they’re considered much dirtier than regular shoes. 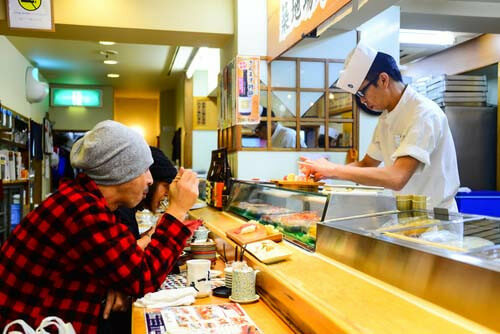 You could walk the streets of Japan from Tokyo to Kyoto and you’d be lucky to see a single person pushing and shoving to be served. In the land of the rising sun, queueing is key. This applies to all the typical scenarios, such as waiting at a cafe or shop counter, and beyond. “Japanese people form an orderly queue when waiting for trains at busy times, such as the morning or evening rush hours,” Yoshimi says. Underground train platforms have lines denoting where to line up for each carriage, and shinkansen (bullet train) stations clearly label where each carriage will board. You can forget slotting in beside a friend, too; Yoshimi says cutting the line is never acceptable. 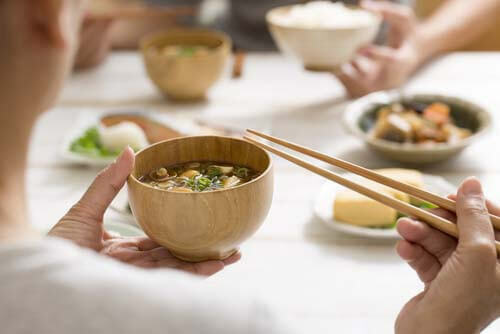 Like much of Asia, chopsticks are the cutlery of choice in Japan, but in addition to the challenge of mastering their technique, travellers must also watch the way they use them. There are enough chopstick taboos to make your head spin, but Yoshimi says the biggest faux-pas relate to Japanese funerary practices; these are known as tate bashi and utsushi bashi. Tate bashi is the act of sticking your chopsticks into the middle of a bowl of rice, while utsushi bashi is the passing of food from one set of chopsticks to another. Both techniques are demonstrated in Japanese funerals and are therefore disrespectful in any other setting. In many corners of the world, noodle soup causes anxiety. People shy away from ordering the dish to avoid the inevitable struggle of eating it in a socially-acceptable manner. But in Japan, there's no such problem. Slurping is considered a sign of enjoyment and is even said to enhance the flavour of your meal! You have our permission to order a steaming bowl of ramen and slurp with abandon. Japanese are very punctual people and when visiting the country, it’s expected that you’ll follow suit. “When you travel by bus or train, you need to be at the station or bus stop on time, otherwise you will miss your [transport],” says Yoshimi. 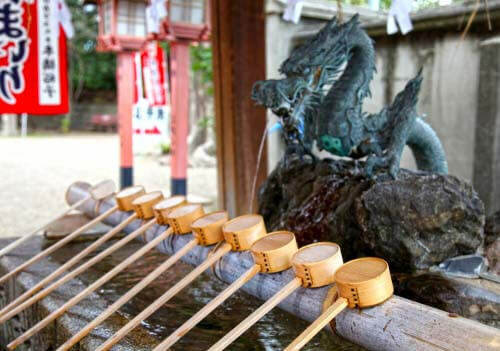 Some of Japan’s biggest attractions are its ancient Buddhist and Shinto shrines, and as with most sacred sights around the world, they come with their own set of customs. 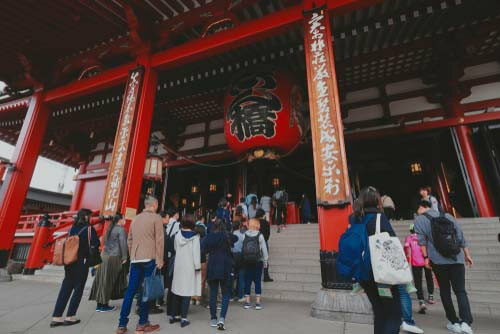 When exploring famous spots such as Fushimi Inari-taisha, be sure to observe the etiquette exhibited by Japanese people and displayed on signage. Common etiquette is to keep your voice down, and purify yourself at the chozuya (shinto water ablution pavilion) before entering the main shrine. Japanese greetings can be tricky for foreigners. Across the west, hugging is common practice, and across Europe it’s customary to kiss on the cheek. 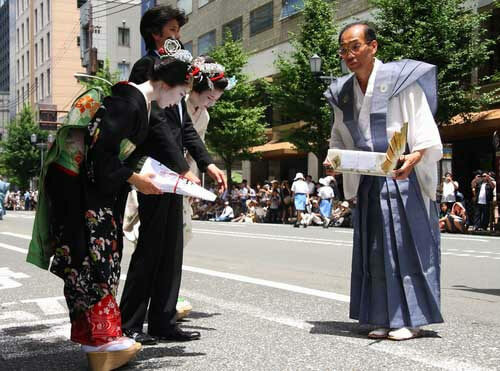 In Japan, Yoshimi says it’s best to stick with the most common greeting: a bow, especially when meeting elderly people. While there is specific etiquette in regards to angles and amount of times to bow, simply returning the gesture or nodding will be appreciated. Yoshimi adds that in a business setting, a handshake is also acceptable. Leaving a tip is a common way to express gratitude in dozens of countries around the world, but such a practice isn’t popular in Japan. 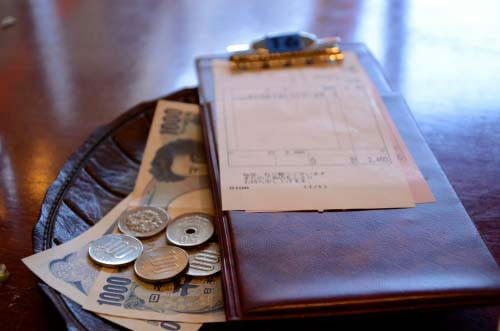 In fact, if you leave money on a Japanese restaurant table, there’s every chance a staff member will run after you to return it, thinking it was left by mistake. The Japanese work ethic emphasises high standards and rather than incentivising it, excellent service is seen as standard practice. The best thing you can do to thank staff for a great meal is to give them a smile and your best attempt at the phrase "gochisousama deshita" which means, "thank you for the meal, it was a feast." Sushi is one of Japan’s greatest and most renowned delicacies. People train for years, even decades, to become an itamae (sushi chef) and the world’s freshest seafood is auctioned at Tokyo’s Toyosu Market every morning. For these reasons and many more, it’s fair to say that sushi is big business. That’s why, Yoshimi says, perfume is not allowed at many fine sushi restaurants. Although Japanese etiquette can seem overwhelming, Yoshimi says that Japan is the country of hospitality.